(MoneyWatch) For married couples, a neat trick for claiming Social Security benefits is the "file and suspend" maneuver. Welcome back to my third post this week on maximizing Social Security benefits, part of my 16-week series, Planning Your Retirement. For the purpose of this post, let's make some basic assumptions. The primary wage earner in this couple is the husband, who was born in 1951 and expects a Social Security income of $2,000 per month at age 66, based on his earnings record. His wife was born two years later, in 1953, and expects a Social Security income of $1,500 per month at age 66 based on her own wage earnings' record. They've both been careful to take care of their health; actuarial tables suggest he'll live into his late 80s and she'll live into her early 90s. With the file and suspend strategy, the husband can file for benefits at age 66 and then immediately suspend his benefits. This allows his wife to begin taking the spousal benefit when she has attained her Full Retirement Age (FRA) based on her husband's earnings record but delay taking her own wage earnings' benefit. Since the husband suspended his benefits, he'll still get the increase for delaying his retirement income when he starts it at age 70. And since the wife is only taking the spousal benefits, her income that's based on her own wage earnings record continues to get delayed retirement credits as well. The couple have decided that the husband will start his Social Security income at age 70, which increases his monthly payment from $2,000 to $2,640. This amount will be payable for his lifetime, and when he dies, this amount continues to his wife for the rest of her life. They also expect him to live beyond her 82-1/2 birthday, so they decide to have her delay taking her income until she reaches age 70. This increases her monthly income from $1,500 to $1,980. At that time, between the two of them, their monthly Social Security income will be $4,620. If he dies first, her income of $1,980 will stop, but she'll continue receiving his monthly income of $2,640. How much does she gain by having her husband delay his benefits until age 70? Well, suppose he dies at age 88, when she's 86, and she lives six more years until age 92. His monthly income increased from $2,000 to $2,640 by postponing his benefits until age 70. The extra $640 per month adds up to more than $46,000 for her for the six years that she lived after he died. Now let's say the husband gets smart and files and suspends his benefits at his age 68. That allows his wife to start the spousal benefit, based on his earnings record, at her FRA -- age 66. This amount is $1,000 per month -- half of his $2,000 benefit -- and will continue for four years until she starts her own $1,980 monthly amount at her age 70. The four years' worth of $1,000 in spouse's benefits adds up to $48,000 gained by the implementing the file and suspend maneuver. These two smart moves will add more than $94,000 in income for the wife! Of course, implementing all of the above maneuvers only works if you have other sources of income to support yourself while you're delaying your Social Security benefits. I recommend you think about working part time while you're delaying the start of benefits -- this gives you engagement with life that might improve your health and increase your life expectancy. If you won't work part time to support yourself, then it may still be smart to draw down retirement savings to allow you to postpone the start of your Social Security benefits. If you really need the Social Security income to meet current living needs and you have no other resources, the above strategies just might not be possible for you. For more detailed explanations of these rules and additional examples, check out Andy Landis' excellent book, "Social Security: The Inside Story." Whew! This is a lot to consider, and this is just one situation. It's very likely your situation will be different from the above example, with very different outcomes. But the example shows you the potential gain from taking the time and effort to do the research to work the numbers and decide just when to start Social Security benefits. 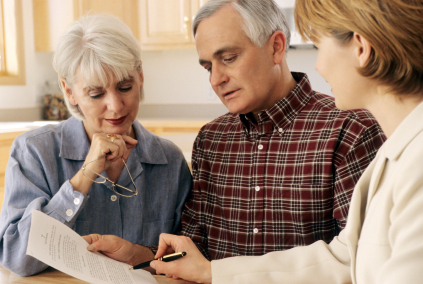 You might even want to work with a financial advisor, who may be more familiar with the ins and outs of the Social Security system, and who can carefully consider your particular circumstances. As the numbers above clearly illustrate, it will be well worth the cost, and you can use the extra money to enjoy life, travel or spoil your grandchildren.